When the temperature starts to drop, it’s time to start considering if you’re properly prepared. Heaters are a great way to stay warm through the colder months, but are also space hoarders during the rest of the year. For this reason, many of us Aussies are a little reluctant to spend big money on a heater, so to help you out, we’ve put together a guide on the different types to choose from and a list of some of the most affordable heaters around. Fan heaters: are comparatively small, portable, and suited to heating small spaces. They come in a range of sizes and costs, plus are generally one of the cheaper heater types to buy, but can be huge energy suckers. These operate by fanning heated air (circulated over a heating element) into a room. Oil column heaters: also known as oil-filled heaters, these are electric-powered and produce radiant heat. They are widely available in a variety of different shapes and sizes, plus continue to produce heat for a period of time once they are turned off. Gas heaters: are ideal for households with natural gas in their area, providing either convective or radiant heat, while for those without, LPG heaters are also an option. Gas heaters are either unflued, meaning they will be portable, or flued, which means they will be fixed. These tend to be more expensive than the electric options but won’t be affected by a power blackout. Panel heaters: are typically slim and streamlined in design, providing reliable electric heating without using up too much space. Some stand upright or roll on castors, while others can be wall-mounted. These are available in a range of sizes and styles to suit all budgets. Electric fire heaters: electric heaters with a flame effect, designed to provide a classic fireplace look but without the chimney and wood. These use lights and water vapour to create the flame effect, while the electric heating maintains a reliable temperature. You can choose from a number of sizes to suit your specific room. Fan heaters are small electric appliances designed to warm small areas of your home for just a limited amount of time. Fan heaters are usually the cheapest option to buy, but prices could range anywhere from $15 to $600. Keep in mind that fan heaters are one of the more expensive to run, costing up to $162 during the winter months (based on a usage rate of 30c/kWh). Nevertheless, here is a guide to some of the cheapest fan heaters around. The cheap and cheerful Kmart heater is packed with all the features you would expect to help keep you warm and comfy during the colder months. It comes with 2000W of power and two heat settings. Other features include a power indicator light and an adjustable thermostat, coming in a white finish. The Kmart fan heater is equipped with overheat protection and safety tip-over switch, which automatically shuts off the appliance in the event that it gets bumped. Kmart states that all of its heaters are tested to applicable Australian electrical safety standards and are certified as compliant. Durability and performance testing are also carried out prior to QA approval. Delonghi provides a compact capsule design, making it a convenient way to provide instant heat wherever you go. In addition to heating, Delonghi’s heater has summer ventilation. It’s an electric model, featuring a safety thermostat that can be adjusted to your liking. The design is boasted for easy transportation with an ergonomic handle and foldable base. Additionally, you’ll also find a pilot light, an anti-frost function and double insulation for safety. There’s also a one year warranty on this model, so make sure you start it back up a bit before the winter months come around again to check that it’s set to go for another year. Column heaters use electricity to heat oil and circulate it through columns, producing heat. They’re generally more expensive than electric fan heaters, with prices ranging between $35 and $400. In terms of running costs, expect to pay around $137 over winter for this type of heater (based on the same assumptions used in our heater running costs article linked above). 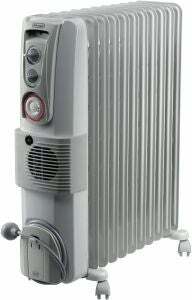 The 1000W Kmart column heater, featuring five fins, is ideal for small rooms. It’s equipped with three heater settings for your comfort – low, medium and high – and comes with an adjustable thermostat. Generally oil heaters, including this Kmart model, don’t produce instant heat, so they’re not suitable for spot heating. 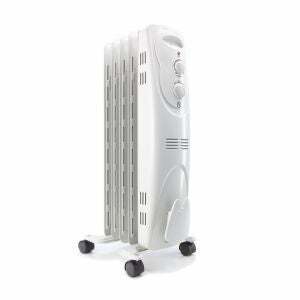 Nevertheless, it produces long-lasting heat, unlike a fan heater. Similarly to the Kmart fan heater that was mentioned above, the Kmart oil heater is said to have been tested to applicable Australian electrical safety standards and certified as compliant, being equipped with overheat protection and a safety tip over switch. It comes in a traditional white colour finish. 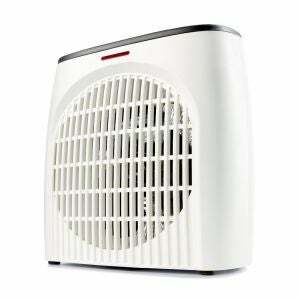 For a larger model, the Delonghi 11 fin heater has a maximum heating power of 2400W, suitable for a medium sized room. This heater is packed with features, including a thermostat, three power settings – Max: 2400W, Med: 1600W, Min: 1300W – and a 24 hour timer, so you can program the heater to run at the times of day when you’ll be at home, for added comfort, convenience and efficiency. It’s also boasted for enlarged radiator fins for better heat distribution. For easy movability and storage, it’s designed with cool touch handles, plus cord storage and snap lock castors. You’ll also find an anti-frost function and a safety tilt switch. 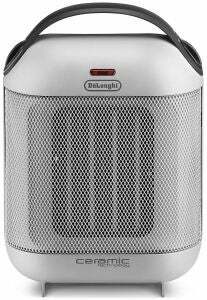 On top of this, Delonghi’s column heater comes with a seven-year warranty! 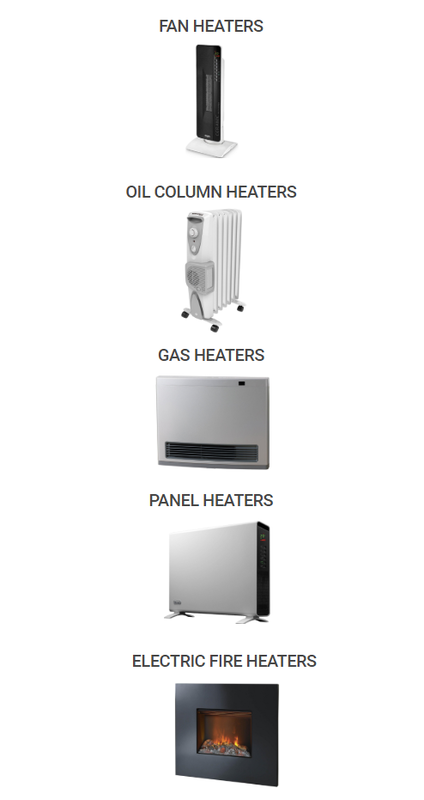 Gas heaters use natural gas or LPG to generate heat. They’re generally more expensive than other heaters, but can also be much more effective, particularly in larger rooms. The price for a gas heater ranges between $500 and $2,300. For running costs, expect to spend approximately $130 for radiant-convection models (20MJ) and $143 for standard convection (22MJ) designs. 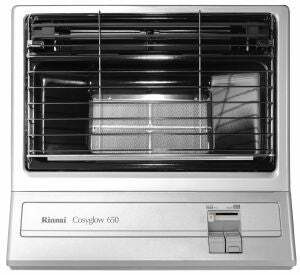 Rinnai’s Cosyglow Heater is a stated to be a great option for medium to large sized rooms. According to Rinnai, the Cosyglow can effectively heat rooms between 23 and 42m² in size, depending on your local climate – larger rooms in milder regions and smaller rooms in colder areas. This model uses natural gas, however, there is an identical model that uses LPG instead, so you can choose according to the gas connection you have in your home. The Cosyglow heater also boasts a 5.9 energy-efficiency rating. The heater’s safety features include the tilt switch and oxygen depletion safety device, which will shut the heater off it it’s tipped over or if there’s too little oxygen in the room. A flame failure device will also cut off the gas supply if the flame is extinguished accidentally. It uses a battery ignition, so you won’t need a power point, allowing you to move it wherever you are with the moulded handles equipped at the sides. In addition, this model comes with a three-year warranty. Next up is Everdure’s Lancer Heater. This heater uses natural gas and is advertised as suitable for living areas up to 52m². This heater also has a huge range of features, including a fan only function, two heat setting and a removable front grill for easy cleaning. It’s equipped with standard convection louvers to direct the flow of warm air, and easy to use push button control panel on the top of the heater for easy accessibility and make controlling the heater a breeze. The radiant panels can be manually lit, so during a blackout you are still able to use the heater. Similar to the Rinnai model above, the Everdure Lancer comes equipped with an oxygen depletion sensor that monitors the level of oxygen in the room and if the level becomes low, the heater will automatically shut off. In addition, if the flame goes out, the gas will shut itself off, so there are no dangerous gas leaks. For additional safety, the heater will automatically shut off if it’s tipped over. It’s boasted for a 5.9 star energy rating with two colour variations – black marble (LAFNGBM) and milky coffee (pictured). This model also comes with a three-year warranty. 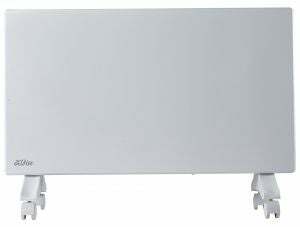 Panel convector heaters, or electric radiators, are slimline heaters which are capable of rapidly heating large rooms. Panel heaters can be portable or wall mounted, and will generally cost between $100 and $850. Expect to have this type of heater adding around $145 to your electricity bill in the winter months. 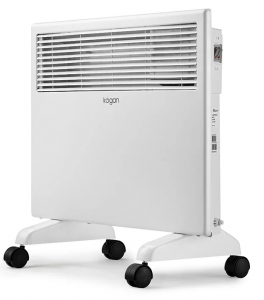 For a slim, easily-portable heater, you might like to consider the Kogan 1000W panel heater. It can be wall mounted for neat, space-saving use or freestanding with four castors, giving you easy movability with a total weight of 4.6kg. Featuring a special ‘x’ shaped heating element, this unit is stated to heat up efficiently. The Kogan panel heater is equipped with two heat settings – 500W and 1000W – and thermostat control, allowing you to choose your ideal temperature while the heater does the rest. Typically a 1000W of heating power is suitable for small rooms, up to 20m². To keep your home safe, the unit has a water-resistant design (IP24), featuring overheating protection and a tip-over switch. It has a one year standard care warranty for peace of mind. The Omega Altise panel heater is designed to keep your room toasty during the chilly winter months. It has a slim and lightweight design, just 85mm in width, providing plenty of flexibility for setting it up in your home. It includes a 24 hour timer that you can program to efficiently suit your daily schedule. With 2000W of heating power at maximum, you’re looking at warming up rooms of up to 30m². Other features include an LED display control panel with soft touch buttons. You can wall mount the unit using the included brackets, so it’s out the way, or you can use the castors and operate it freestanding anywhere around your home. While the included wheels are claimed to be stable, you can rest assured that if the heater accidentally tips over, the safety tip over switch will kick in and automatically turn it off. In addition, it’s equipped with a child lock and overheat protection, to help keep your home safe. It has a five year warranty and is available in matte white or black. If you’re after a stylish heater, then an electric fire heater is probably what you’re looking for. These heaters produce considerable heat and display a convincing flame animation. Prices for these heaters usually start around $150, however they can cost upward of $2,000 for a full fireplace. 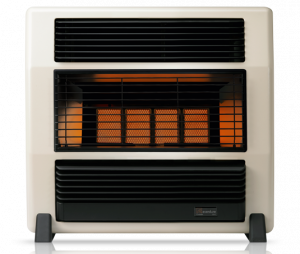 The Minicube fire heater from Dimplex is said to be compact and portable, featuring a modern curved steel casing with a louvered front panel. It comes with two heater settings – 750W and 1500W – and while it’s too small to warm an entire home, it’s a very cosy addition to your living space or bedroom. The flame affect with a flowing coal bed adds a nice ambiance, which can be used all year round with the heat source being independent of the LED ‘Optimflame’. There are two colour variants – black and red – both with gloss finishes, suitable for any living space. Both come with a two-year replacement warranty. 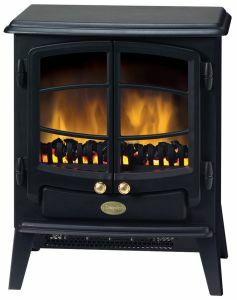 The Dimplex Tango electric fire has an antique ‘cast iron’ style design with opening doors and matte black finish. It’s slightly more powerful than the Dimplex Minicube with a maximum heat power of 2000W. However, it’s still mobile and portable, allowing you to warm medium to large rooms. The Tango compact unit can fit in a standard fireplace or on a hearth. There are three fan speeds with two heat settings to choose from – 1000W and 2000W. 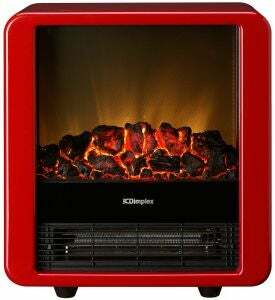 Its ‘Optiflame’ coal effect is stated to give a unique, warming glow that can be enjoyed throughout the year, as the LED low-energy effect can be used independently of the heat source, similar to the Minicube. The Dimplex Tango model also comes with a two-year warranty. Should I buy a cheap heater? Like with buying any cheap appliances, cheap heaters are often cheap for a reason, either because they don’t provide the same level of features of more expensive models, or because they’re costly to run. Electric heaters are fairly cheap to purchase but can be quite expensive to run. They’re ideal for heating small areas and should be used sparingly to avoid unexpectedly high electricity bills. It will ultimately be a trade-off between cost and comfort when it comes to these portable heaters. To minimise costs, you should set your heater as low as you comfortably can and check that all windows and doors are closed. For every degree warmer you set your heater, the more it is going to cost you. If you have a reverse-direction ceiling fan, this can also be used on a low setting to circulate the warm air throughout your home. 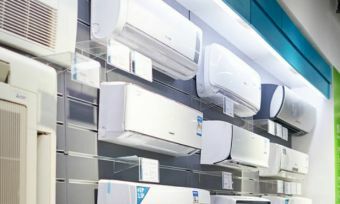 As hot air rises, it can tremendously boost heating effectiveness. Finally, make sure you don’t leave the heater running when no one is using it, as the longer the heater is running, the larger your energy bill will be. If you’re paying too much for electricity and gas, then you’re already paying too much for heating. You can compare energy companies via the link below to see what your options are and if you could be on a better deal.